The bane of most insurance agents’ existence. The number one most hated activity in selling (by both the agent and the person on the other end). But it doesn’t have to be that way. There’s an easier, more enjoyable way of doing cold calls that actually gets better results than the old “pray and spray” approach to dialing. These are the cold calling tips used by the top-performing insurance agents (they actually work in any industry, too). If you like these tips make sure to download your free copy of the Essential Cold Calling Checklist. 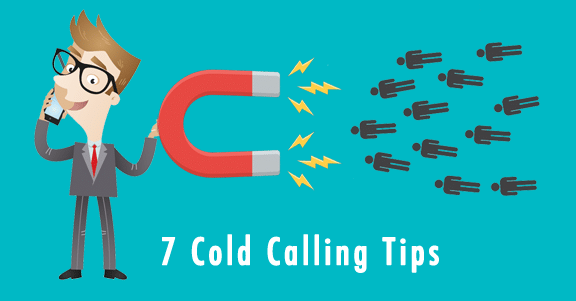 These cold calling tips are based on research on what sets apart top-performing salespeople across industries. We’ve also taken the time curate tips from top performers who have shared their secrets. Use these tips to disarm your prospects, gain their trust, and leave them feeling positive about you… whether they become your client or not. Cold Calling Tip #1: Detach from the outcome. This might sound crazy, but the quickest way to have more success cold calling is to emotionally detach from the outcome of the call. Do your best to not give a rip whether they buy from you or not. Research shows that 78% of the top 1% of salespeople don’t need their prospect to like or love them. They demonstrate detachment at every stage of the sales process. Their alarm bell in their brain will scream, “Salesperson! Danger!” They’ll start to feel uncomfortable and will say and do anything to get off the phone as soon as possible. Whenever you tell yourself things like: ‘I NEED this sale; I HAVE to make some money today; I HAVE to close this deal’ — people will feel that you are calling on them in order to GET something from them. That energy is going to come across to your prospects. So what’s the solution? Detachment! When you let go of any need for approval, any worry or concern you have about the outcome of the call, you’ll feel more relaxed and at peace. This simple psychological trick is the quickest way to get better results from cold calling. Want a little help getting detached from the outcome? Grab a free copy of our book Deliver to help you get there. Most people who cold call do it in a way that feels like an emotional assault on the person on the receiving end. Their goal is to make the sale right there on that first call. It’s a big reason why a lot of people feel revulsion and anger towards telemarketers. Elite producers do it differently. They understand the “stages of intimacy” that are at the core of human relationships. Their intention with the first call isn’t necessarily to close the sale, but to build a sense of trust and open the relationship. Desmond Morris is an English zoologist and a popular author in sociobiology. He discovered that there are 12 stages that couples go through from the time they are complete strangers until they reach the highest level of intimacy (shacking up together). Sexual assault charges happen when somebody tries to skip these stages of intimacy and force the relationship too quickly for their partner’s comfort. Likewise, in sales and business there are certain emotional, psychological stages that your prospects have to go through BEFORE they’ll do business with you. If you skip these steps and go straight for the sale, your prospect may feel assaulted. It’s possible to go through all of these stages on one phone call, but it’s really not likely. Don’t ask them to become your customer in the first five minutes of your cold call. That’s like a guy asking a woman he just met in a bar to marry him. In sales, these stages go from being a complete stranger (from a complete cold call) to “knowing, liking, and trusting” you and then doing business with you. The best cold callers have developed their own process for “warming up” the calls and getting people on the other end to “know, like and trust” them. They don’t start out by proposing marriage (doing business together) right from the beginning. When you think about it, all these cold calling tips are based on following the normal rules of human relationships. Tip # 3 :Think about it as a “service” call, not a “sales” call. Understand that what you are “selling” during the cold call is really a conversation, not your product or solution. You don’t even know yet if they want or need your product yet. Don’t assume that they do! If you’re trying to sell them your solution when the prospect doesn’t even agree or acknowledge the problem you’re trying to solve, you’re just going to annoy them. .
Can you help them uncover a gap that they might not be aware of yet? Can you just be someone who listens to them deeply? How can you re-frame your cold call as an act of service? What kind of service or value can you actually give them upfront? For example, one way to “warm up” your prospects is to create a really helpful article or resource that answers their number one question or sparks their curiosity in some way. On that first call, you could ask them for permission to get their e-mail so you can send them the article. Whatever you do, make sure YOU truly believe that you are calling them to offer service, not to sell them something. This tip is mostly about getting your own attitude right before you make the call. When you call on a potential customer, do your best to view it as no different from helping a neighbor with a project, visiting a friend in the hospital, or reaching out to help someone struggling with a serious personal problem — it is an opportunity to be of service. People can always read your hidden motive. They are smart and intuitive. They will pick up on your energy of “getting something from them.” When people resist sales pitches, it’s because they know the real agenda is all about YOU. When you call on people in order to SERVE them you have a much higher chance of getting the sale. If your intent is to be of service, to help them in achieving their goals then they will welcome you. They will trust you…and they’ll be much more likely to do business with you. Tip # 4: Make it about them not about you. Imagine a friend just sent you a photo of you and a group of friends out on the town. When you first look at the picture, whose face do you look at first? Yours, of course. That’s because people are mainly concerned about themselves and their own needs. A common mistake salespeople make on cold calls is to start by telling customers about themselves, their product or service without ever having asked permission to do so or without showing any interest in the customer. This might sound harsh, but your prospective customers are not interested in you, your product or your service. They’re interested in themselves. Your goal on each call should be to get them to open up and talk about themselves as quickly as possible. One time a sales rep for a newspaper called me on the phone and immediately started telling me all about how great their advertising was, how many people it would reach, blah, blah, blah. They never once stopped to ask about our business, or to find out how advertising with them might help grow our business. The conversation would have gone completely differently if they had stopped early on to show they were interested in helping me and being of service. Imagine if they started out by saying, “Hey Nita, I’m so-and-so from the X paper. I’m calling because we have a new campaign that you may be interested in. Your job as a cold caller is not to tell them all the reasons why they should become your client! Why WOULD THEY want to buy my product or work with me? Do they even have any reason at all? Tip # 5: Diffuse any pressure your prospect feels. Talk like you would to a friend. Take a second to think about what you feel like when you talk to your best friend on the phone. What is your tone like? Do you smile before you make the call? Are you eager and excited? Do you feel relaxed? Now think about how you feel when you make a “cold call” to a prospect. Do you feel warm and fuzzy about talking to them? Are you excited about where the conversation might lead? Try not to sound like an aggressive shark when you call. If you’re like most people, you talk in a completely different way to cold prospects you’re calling than you do with your close friends. Why? Most people go into “sales mode” when they’re cold calling. Their tone changes from open, friendly and conversational to serious, fast-paced and even aggressive. The way you sound will trigger the same response from your prospect. Do you want them to be tense and defensive or open and friendly? Do your best to diffuse any tension by pretending like you’re talking to an old friend. Try to convey that you truly care about your prospect on the other end. You can help yourself get into the “friend zone” by holding up a mirror or a picture of a dear friend while you’re on the phone call. When you find yourself in that situation, that’s not the time to push harder and try to convince them. Do your best to diffuse the tension. Tell them, “I understand. I’m not here to replace your insurance company.” Then ask them a question about themselves. If you’ve followed the earlier tips and taken some time to detach yourself from the outcome and to re-frame the call as a “service” call instead of a “sales” call, you should be getting a lot less resistance. Tip # 6: Re-frame failure by having a secondary objective for your call. Having a secondary objective for your call is a way to re-frame failure and even to eliminate the word from your vocabulary. Your secondary objective will help you feel successful, even if your first objective (getting an appointment, making a sale, etc.) was not met. I will leave them with a good feeling about my company. I will get their permission to re-contact them in the future. I will find out who their provider is now and how satisfied they feel about them. I will leave them with more knowledge and awareness about the insurance world. Secondary objectives can lead to business in the future. The information you gather from your questions can help plant a seed in the mind of a person and they may contact you when their situation has changed or they no longer feel satisfied with their current provider. In his book Smart Calling, Art Sobczak described how he was called by a salesman for a travel agency. Art told the salesperson how happy he was with his current travel agent. Art answered that he would consider leaving his travel agency if they gave him a feeling of indifference or if they caused him to lose money. The salesman assured him that he would have a travel agent assigned to him that would know his needs. In addition, he assured him that the company’s philosophy was to never cost a customer money. Art kept the salesperson’s contact information, and a year later he had a bad experience with his travel agency. He contacted the salesperson and made the switch because of his brilliant question. In addition to getting you business in the future, having secondary objectives will keep you from feeling disappointed and grinding to a halt. Tip #7: Ditch the canned, salesy script. Stay in the present moment. Research shows that the top 1% of salespeople have the ability to not get emotional and to stay in the present moment. And being tied to a script keeps you from being in the moment. Now, to be fair, we’re not completely against using scripts in any situation. Just try not to rely on them too much. It’s okay to script your first statements because it’s important to set the tone for the conversation up front. However, it should NEVER sound like you’re reading from a script. If you decide to use a script, practice delivering these few lines to the point where they feel completely natural and conversational. If you don’t, your prospects will know that you’re reading from a script. You’ll sound rehearsed, canned, too polished, not conversational enough. Try to avoid meaningless business jargon. Also, remove any jargon or sales-speak that sounds unnatural. Change the script to use words that reflect how you actually speak. If you’re truly present and in the moment, you will use words that feel authentic and natural to you. If you are genuinely in the present moment and curious about learning more about your prospect on the other end, you don’t need to script every little stage. Just stay present. Make sure to download your free copy of the Essential Cold Calling Checklist.